. Published on February 18, 2019 . 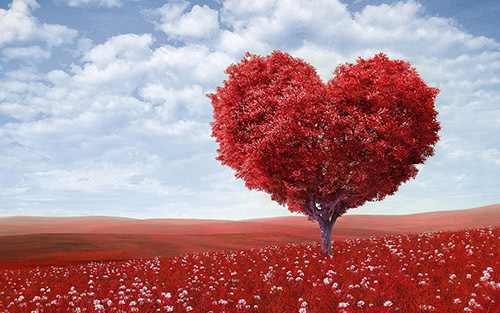 Plant the seeds of love and watch a heart-shaped tree grow. Valentine’s Day is upon us. All around the Columbia College Chicago campus, young lovers cling together like dryer sheets on wool pants. With so many amorous creative people around, the idea of providing chocolates, flowers, or balloons to one’s partner seems rather basic. Any Columbia student can make something much more meaningful, so if you’re dating one, you’ve got to step up your game. Obviously, a painter might make a portrait of their partner and a sculptor could craft a heart-shaped box. If the creative person in your life is a writer, it’s reasonable to expect a personalized work of literature (hopefully nonfiction) about how much they love you. This might take the form of a poem, or perhaps a textured non-narrative tome so cryptic that the meaning takes years to unlock. Giving them in return a four-line rhyming verse on a card purchased from the local super-market simply will not suffice. What to do? The first concern is to make sure one’s partner actually wishes to celebrate St. Valentine’s Day. One’s partner may be very affectionate on this particular February 14, but what if it is coincidental? Many Columbia students tend to be progressive and actively resist the hegemony of a so-called “Hallmark Holiday.” One must first ascertain—clandestinely—if their artistic paramour considers St. Valentine to be the patron saint of love, or the patron saint of old-timey mob shootings. 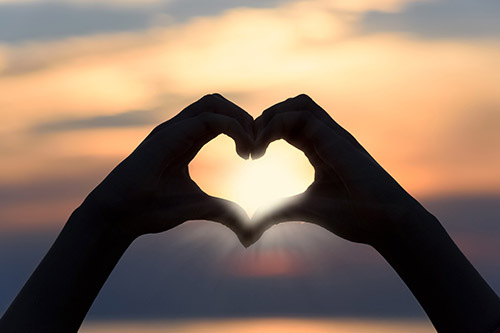 Both viewpoints have a particular set of concerns, but this blog focuses on the former interpretation—that St. Valentine and his day are a positive thing and we ought to celebrate our love in a special way. While one may interpret “a special way” as a new lascivious act (in which case reservations can be taken here), let’s focus on the other popular interpretation of the phrase: providing one’s partner with a thoughtful token of our appreciation for them. If you ask your doctor to describe the human heart and she does this, run! The question begs: what to get the writer in one’s life? Pens, pencils, and journals made from recycled panda waste are always appreciated. Chances are, your writer already has plenty of these items though. Is their computer clunky? Perhaps you could purchase some additional RAM to speed things up, or even spring for a new computer altogether. If you could afford a new computer, though, I’m sure your partner would opt to spend the money on a weekend away instead. When I asked Siri and Alexa to find gifts for writers, both suggested an array of novelty items sure to make even the most taciturn writer guffaw. There’s the always popular Edgar Allan Poe action figure and a coffee mug proclaiming, “F*** off, I’m writing,” in a bold Courier New. Regrettably I could not find a set of F. Scott Fitzgerald shot glasses on which the writer’s visage erodes the more the glass is refilled. But if one wants to give a truly special gift to their writer on Valentine’s Day, allow me to lobby for the following: a cup of tea while they work, a shelter from the travails of the world, and an hour of silence so our writer can bring forth what is in their head out onto the page. Take them by the hand, and as you look into their eyes, offer up the simplest but most valuable of truths: tell them that you believe in them.